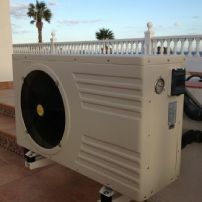 This range of pool heaters provide an economic and quiet way to heat any domestic pool. 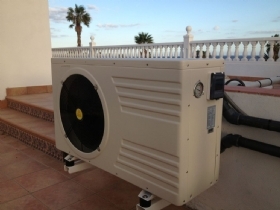 The latest generation of swimming pool heat pumps actually harnesses the free heat in the air and can generate up to five times more heat energy than they consume. In fact the sun doesn’t need to shine for the heat pump to work!Titanium heat pumps utilize the ambient free heat by collecting and absorbing energy from the outside air. Titanium is many times more durable than standard copper heat exchangers.